The Clover Canyon Resort 2015 Collection pays tribute to the birds, the colors, the embroideries and the landscapes of South America. Other South America-influenced collections : Givenchy by Riccardo Tisci Autumn/Winter 2008-2009 (this show was inspired by the elegance and the romantic sensuality of South America), Prada Spring/Summer 2014 (this collection made reference to the figurative murals painted by street artists in South America), Yves Saint Laurent Couture Spring/Summer 1978 (titled « Broadway Suit », this show partly paid homage to the style of the South Americans). 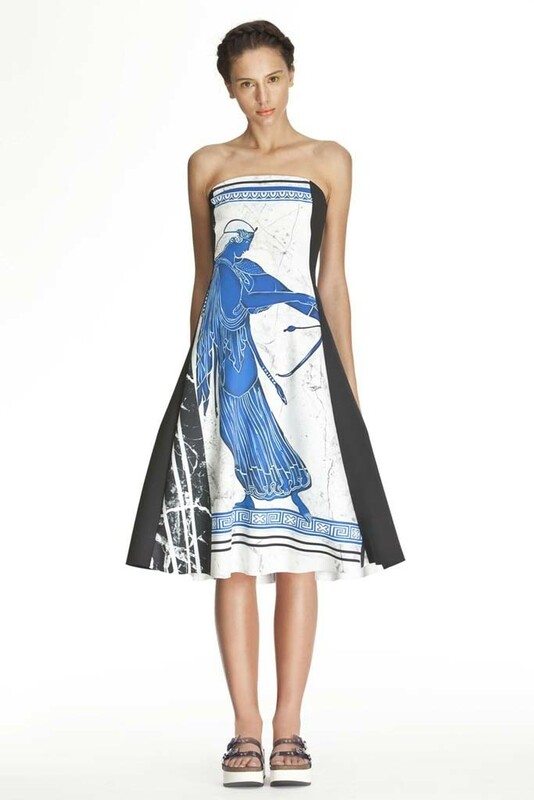 Several pieces of the Clover Canyon Pre-Fall 2014 Collection draw inspiration from Corinthian vases. 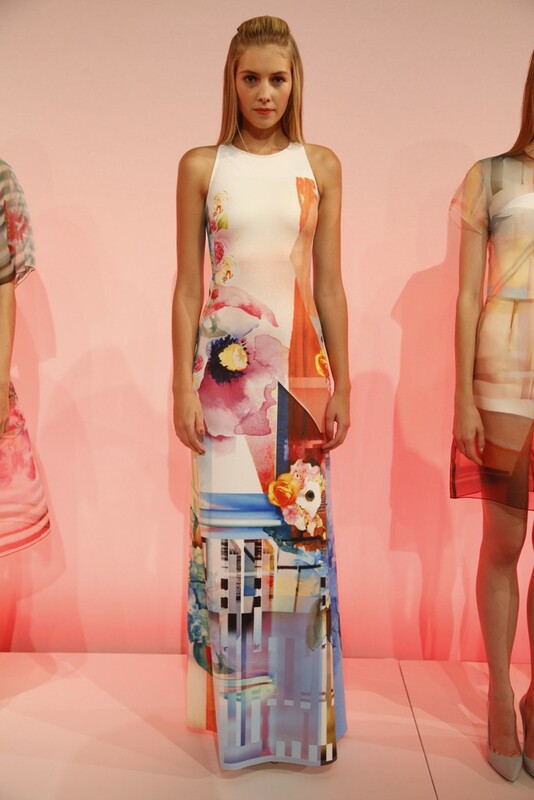 The Clover Canyon Spring/Summer 2014 Collection references Charles and Ray Eames’ architecture. Some Charles and Ray Eames-influenced collections : Behnaz Sarafpour Spring/Summer 2007 (before designing this graphic collection, Behnaz Sarafpour watched documentaries about Charles and Ray Eames), Calvin Klein Collection by Francisco Costa Resort 2013 (some fabrics referenced the Eames House), Marc by Marc Jacobs Spring/Summer 2012 (the program of this show mentioned architectural-art way stations like Charles Eames’), Neil Barrett Spring/Summer 2014 Menswear (some jackets and tops revisited Charles and Ray Eames’ bubbled and organic shapes).